A Hairdressing student from South Essex College is being praised after winning a Jack Petchey award. Chanai Lewis, 18, from Tilbury, studies Level 3 Hairdressing at the College’s Thurrock Campus. She won a Jack Petchey award and £250 prize after being nominated for improving every aspect of her attitude to education this year. 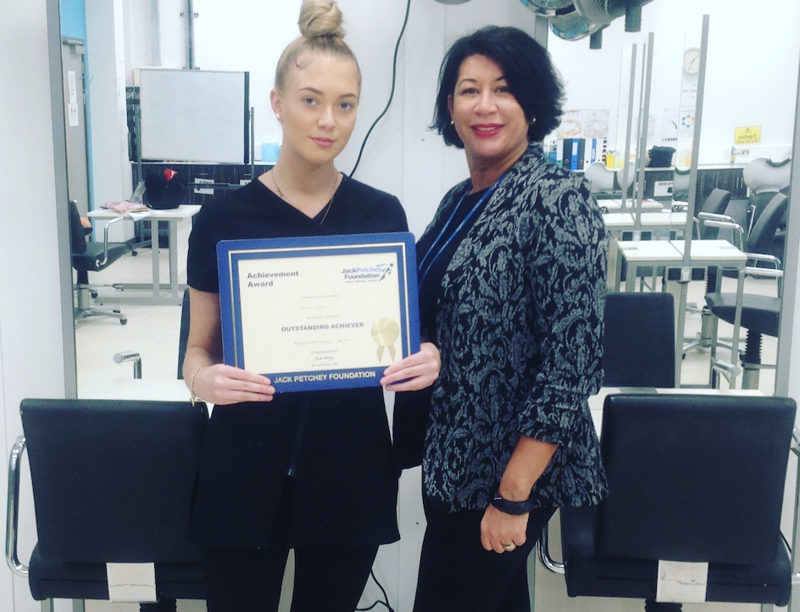 Jo Dunne, Hairdressing Lecturer, said: “Chanai really deserves this, last year she struggled on the course but this year she’s giving 100 per cent effort. The prize money will be put towards a trip to the London Wella Academy so Chanai can watch industry expert demonstrations and learn more about the hairdressing industry. Chanai now has local work experience planned to build her salon experience. She hopes to one day run her own salon. One Response to "South Essex College: Achievement award for Hairdressing student"
I hope it leads to a perm-anent job.